BT Folio - template designed by studio designers BowThemes for CMS Joomla versions 2.5x. The main direction of development of this template - website with placement of various photos, pictures, organize your own portfolio. In template built 6 color themes that allow the user to create a beautiful and convenient site. Styles and themes can be changed from the admin site. Template runs on T3 Framework v2. For ease of handling and placing materials in a built-in component K2. 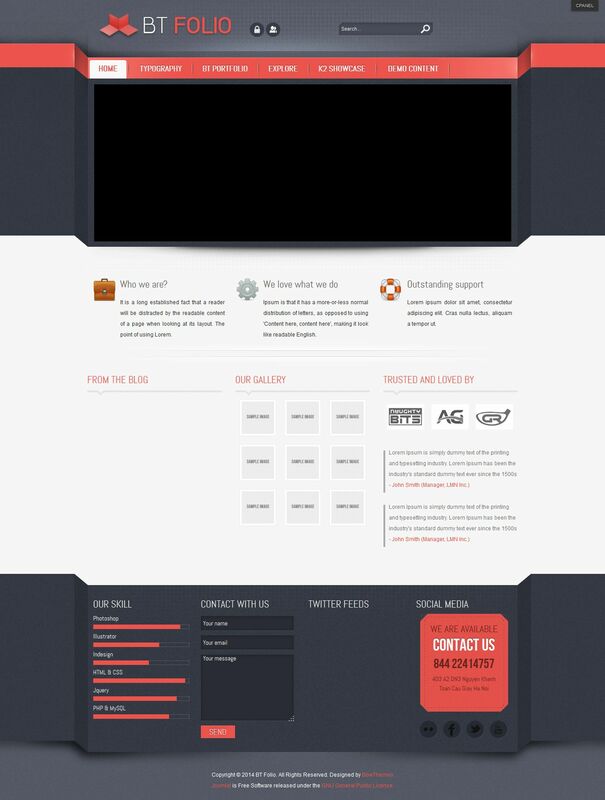 Template useful for creating presentations and websites sites portfolio.